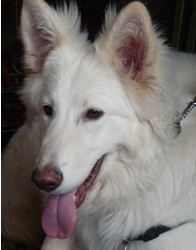 Please note: Wythall German Shepherd Club are not responsible for the content contained in our link partners web sites. A small Birmingham based rescue, which takes in unwanted, abused and abandoned animals. A small dog rescue group serving the West Midlands, Warwickshire and surrounding areas. GSDs at GSRUK all need loving homes or fosters so please help. Rover Recommened is here to help you discover all the dog friendly places in the UK. Eco-friendly Animal ribbon bags, tissue paper, seals & cards includes paw print, Leopard & Zebra print. EZ X Harness is the easy harness both on and off for your dog. EZ X Harness is a revolutionary, patent pending harness design that is easy to put on your dog, easy to take off, comfortable for the dog and offers great control for the owner. A GA purebred Labrador Retriever Breeder specializing in the Whitest of the White yellow Labs. We are dedicated to providing Labs with sound minds, excellent health, and calm dispositions. Excellent Labs in field, service, and home environments.